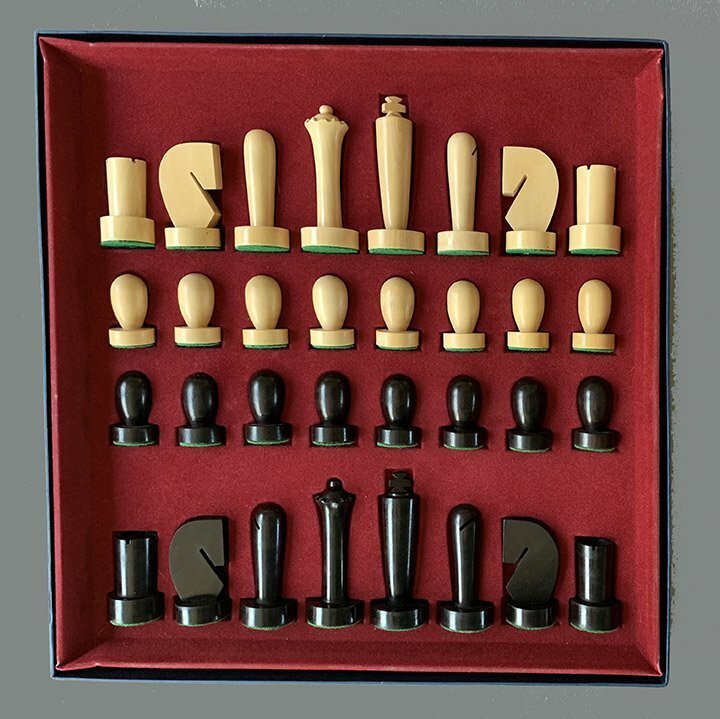 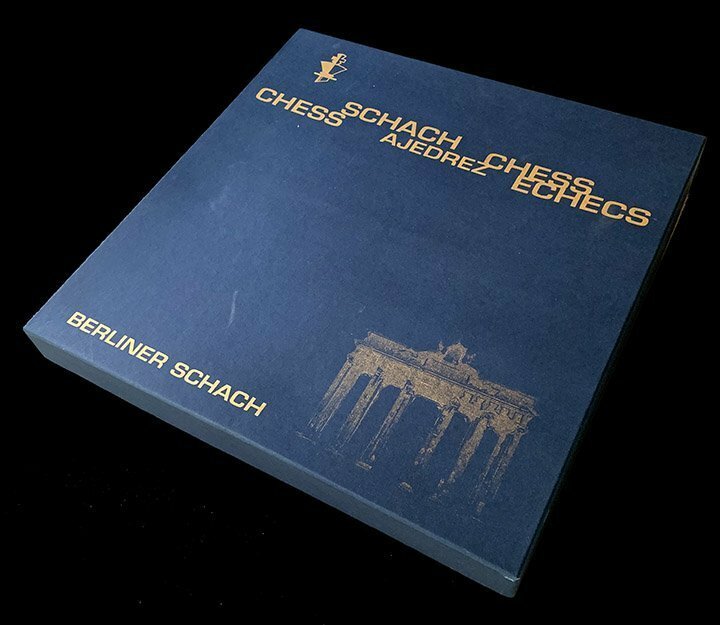 This lot features the 1960s iconic Berliner Schach Minimalist Chessmen. 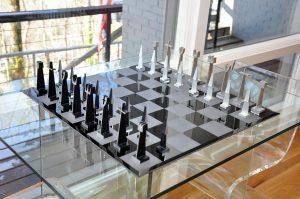 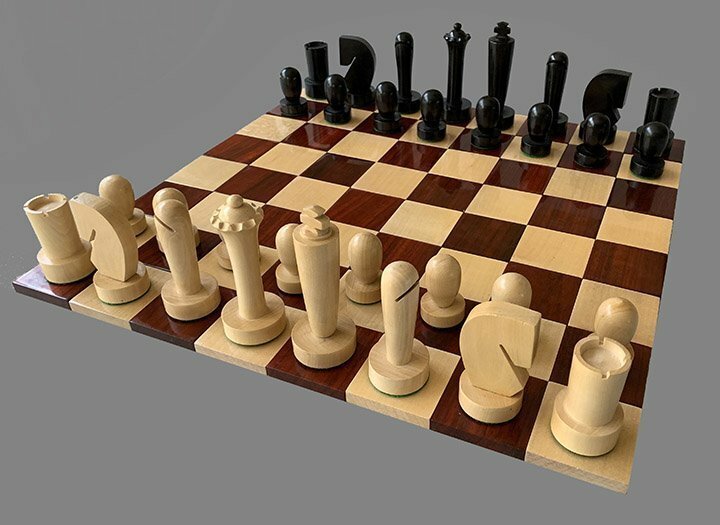 These German Modern Abstract style Chess Pieces are crafted from Boxwood and Ebony. 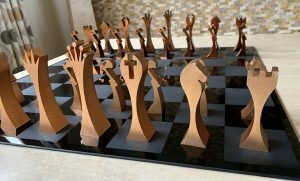 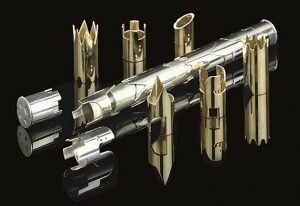 The King stands 3.8″ tall with a 1.5″ diameter base. 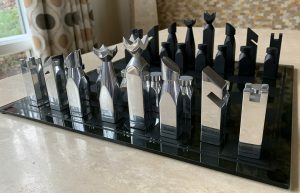 The chess pieces are unweighted and rest atop green felt base pads. 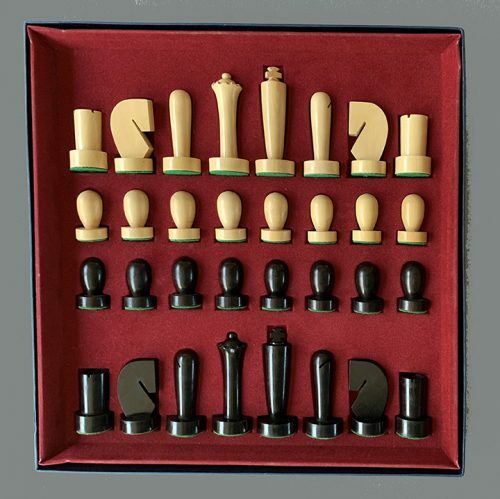 The chessmen are like new and are housed in their original fitted display box. The sets were produced in Germany. 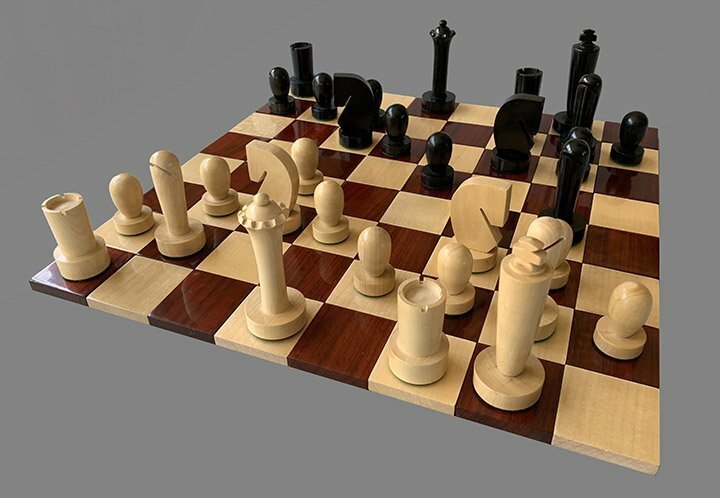 The chessboard shown is not included. 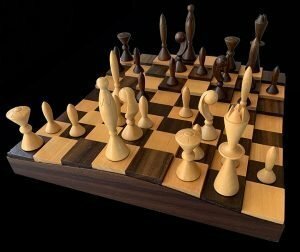 A suitable chessboard can be found by browsing our extensive selection of new and antique chessboards.